When choosing a journal, one of the first things you may want to establish is whether it is peer reviewed (refereed). Peer-reviewed journals contain articles reviewed by experts in the field prior to publication. 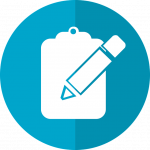 Check with your supervisor or colleagues whether non peer-reviewed publications could be suitable for your research. 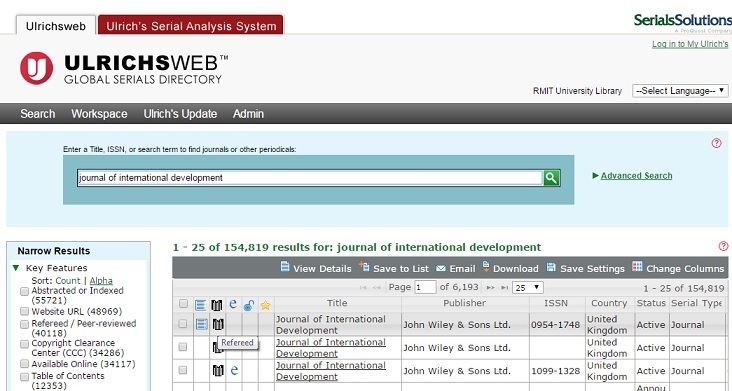 You can establish if a journal is peer reviewed by using Ulrich’s Global Serials Directory (ULRICHSWEB). Even though a journal may claim to be peer reviewed on their website, you may want to verify this independently. Search ULRICHSWEB for one of the journals you identified in Activity 1. Note whether your journal is refereed. If it isn’t refereed or scholarly, note what type it is i.e. government, trade, corporate, consumer or other.